Limestone is the 22 million-year-old rock on which Malta's history is built – literally. And it is this material that serves as the inspiration for an informative look at the history of the island, as well as a visit that is so much more than visitors bargain for. Just outside of Siggiewi is the Limestone Heritage Park and Gardens, built in a quarry. 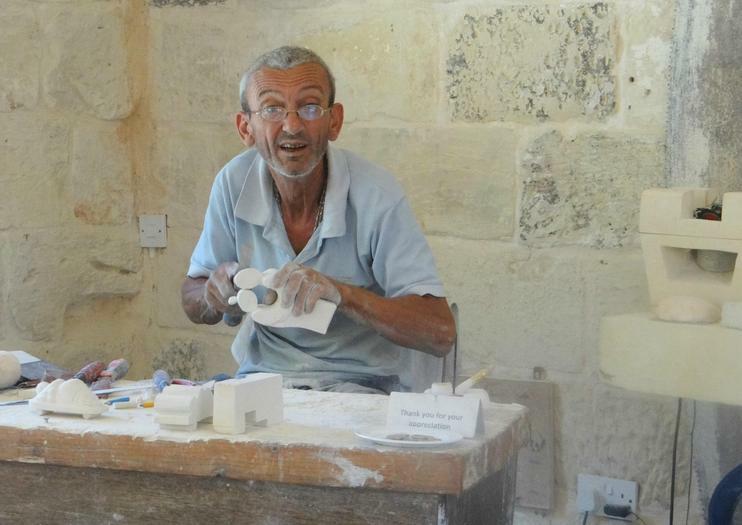 A tour of the park takes visitors through the history of Malta via a walk through the limestone structures in the park. There are also limestone sculpting classes, a chance to observe masons at work, and even a petting zoo for families with children. When the location is not being used for private functions, there are Folklore nights featuring traditional food and music. The Limestone Heritage Park and Gardens are located at Mons. M. Azzopardi Street, Siggiewi and is a short walk from Siggiewi city center. It is closed on Sundays; Monday through Friday it is open from 9am-3pm, and on Saturday from 9am until noon. It is €7 for adults and €3 for kids.